OVERVIEW: Hollywood hasn’t been the same since Vince and his entourage came to town. Experience the wild celebrity lifestyle and true bonds of friendship when the seventh season of the Emmy®, Golden Globe® and Peabody award-winning comedy series Entourage® hits store shelves on July 12, 2011, just weeks before the show’s final season premiere. 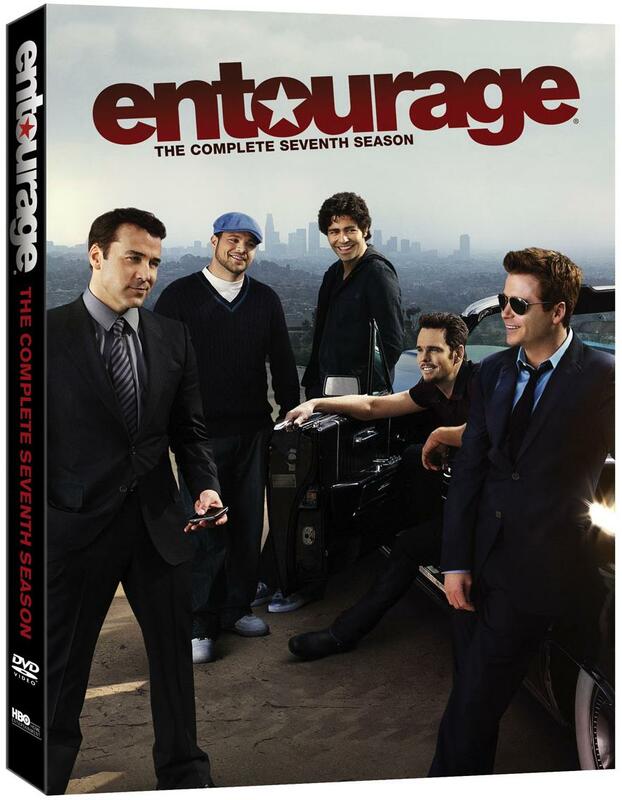 Entourage: The Complete Seventh Season on DVD and Blu-ray Disc contains all 10 episodes along with extensive bonus features in a two-disc set. With a wealth of bonus materials on both the DVD and BD versions, fans can further immerse themselves in the hip tinsel town lifestyle of Vince and the gang. Features include “Inside the Hollywood Highlife,” a behind-the-scenes look at the making of season seven with interviews from cast and crew; “The Shades of Sasha Grey,” an inside look into the world of adult film star Sasha Grey; and three hilarious audio commentaries with creator/executive producer Doug Ellin, executive producer Ally Musika, Adrian Grenier (Vince), Kevin Connolly (Eric), Jerry Ferrara (Turtle) and Jeremy Piven (Ari). SYNOPSIS: Even after seven seasons, the show is “still sharp, still funny and still right on the cutting edge” (Star Magazine). After an accident during the filming of his latest action flick, Vince has developed a new lease on life that makes him even more difficult to manage. Meanwhile, the rest of the guys face the challenge of mapping out their own futures, both personally and professionally. Inside the Hollywood Highlife - A Behind-the-Scenes look at the making of Season 7 featuring interviews with cast and crew. The Shades of Sasha Grey - An inside look into the world of Sasha Grey. 3 Audio commentaries with creator/executive producer Doug Ellin, executive producer Ally Musika, Jeremy Piven Connolly, Jerry Ferrara, and Adrian Grenier.